At CleverTap, we’ve recently started using LESS for dynamic CSS. 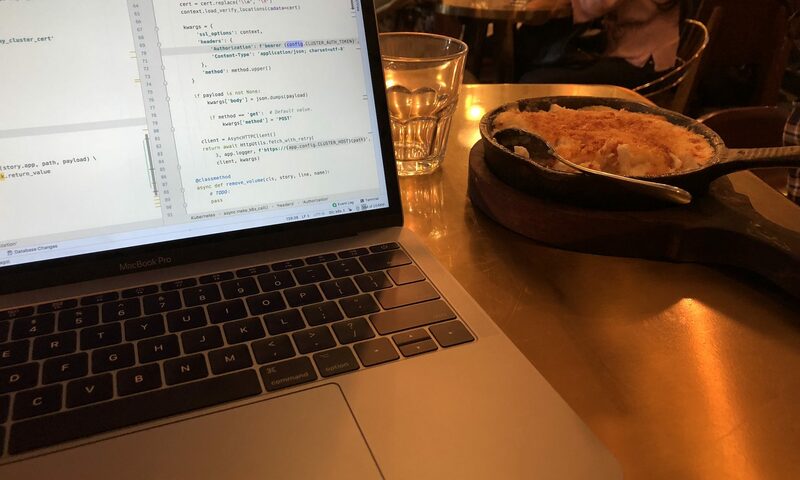 While it has it’s upsides, the biggest downside was that most of our developers couldn’t use the hot deploy feature for their local deployments. After an hour or so, we came up with a neat solution. Both parts above utilize a bash script (since everybody uses a Mac for development, it’s cool). 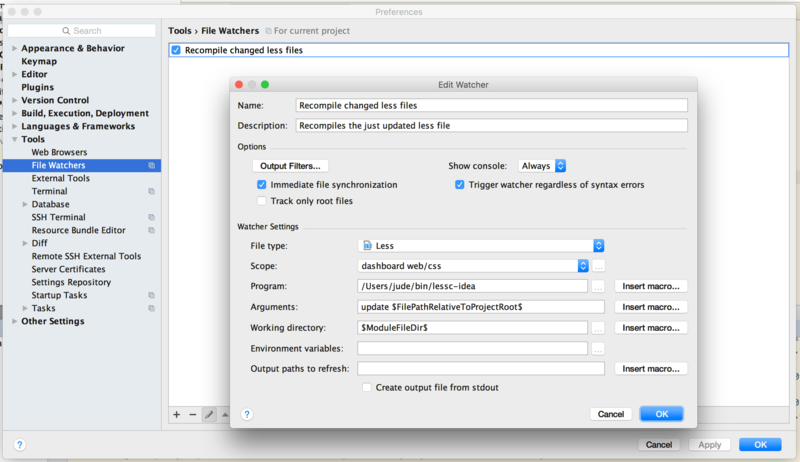 Hit the “Install JetBrains plugin…” button, and search for “file watchers”. Note: You will need to update the variable exploded_artifact_path in the script above. Now, open up your run configuration, and scroll all the way to the bottom (where it says Make, followed by Build artifact …). Hit the “+” button, and select “Run External Tool”. Once this is done, your LESS files should be automatically generated when you deploy your web app. Go ahead and give it a shot. Go to Preferences, and navigate to File Watchers under Tools (left menu). Hit the “+” button and select “Less”. Clear any output filters added automatically: Press the Output Filters… button, and remove anything inside there. You’re all set. Hit OK, then Apply, and OK.
Test drive your new setup. The moment you change a LESS file, it’ll get re-compiled into the corresponding CSS file within the corresponding directory in the artifact output, and you’ll be able to see the changes immediately.